Amir Ganor is an Israeli cop, but not the kind who chases car thieves or bank robbers. Ganor is a Jewish Indiana Jones, an archaeologist gumshoe, but instead of a coiled bullwhip at his side, he shoves a pistol into his pants and manhandles jeeps through seemingly impassable goat trails. The investigator’s beat is the antiquities bazaars of the Holy Land and the remote caves of the Judean Desert, where Israeli dealers, Palestinian tomb raiders and Bedouin guides conspire to traffic in the world’s oldest merchandise, especially the loot unearthed from the time of Roman legions and Jewish rebels. 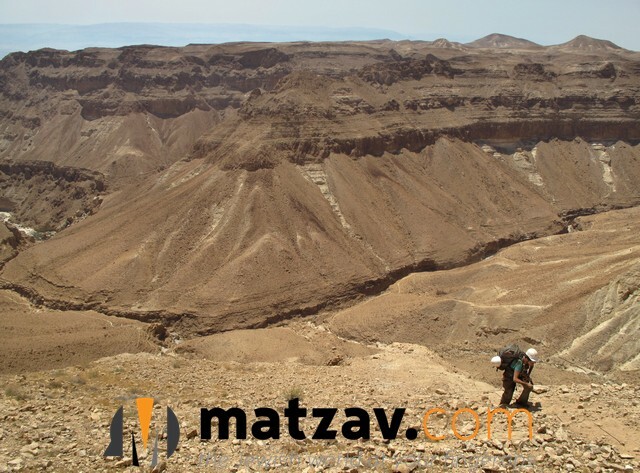 Today the target of Ganor’s investigation is a remarkable cavern located high in the pitiless mountains above the Dead Sea, a frying pan of extreme heat and dryness, rich in artifacts from the deep history of humankind. After busting a crew of tomb robbers armed with shovels and metal detectors digging at the site two years ago, Ganor and a team of archaeologists from Hebrew University in Jerusalem launched an “emergency excavation” last month to sift the powdery dust and bat guano before looters made off with everything. The three-week dig, just now completed, was the largest, most complex and most intensive Israeli excavation in the desert in 60 years. Archaeologists call the site the Cave of Skulls, for the seven craniums found buried deep inside in 1953. The cave has yielded artifacts from the Neolithic Period to the Copper Age. The cavern may also have been a redoubt for rebels with the Bar Kochba Revolt against the Romans in A.D. 132 to 136. If so, it was a desperate stand, archaeologists believe, with the cave serving as a temporary hideout for women and children as well as fighters. The cave may hold not only bits of bone, clay and wood, as the team has found, but also the most sought-after treasure of all: more Dead Sea scrolls, fragments of words written on pieces of papyrus reed or skin parchment and preserved for 2,000 years in the dry desert air. The most famous collection of scrolls was found to the north of the Cave of Skulls in 11 caverns near Qumran. It is possible that the Cave of Skulls has papyrus with printed text, but if it does, it will probably be just a scrap or two – and nothing like the trove found in Qumran, a mass of material so rich that it has its own pavilion at the Israel Museum in Jerusalem called the Shrine of the Book. Still, hundreds of young volunteers cycled through the dig, sleeping in a rough camp at the canyon rim by night and during the day venturing 260 feet down a cliff face to the job site. They excavated buckets of dirt and sifted the soil, working in a fog of brown dust, their faces blackened with sweat and dirt. They worked side by side with archaeologists. They commuted to the dig by donning harnesses and clipping themselves with rappelling gear onto a series of fixed ropes and cables for the trip up or down. A careless moment and a slip on the loose rock could have found them plummeting to the streambed 1,000 feet below. The archaeologists found plenty of bird and bat excrement. But they also uncovered animal and human bones, awls, arrowheads, spindles, flint, a lice comb, and, most intriguing, a fragment of papyrus that could match a piece confiscated by antiquities police in 2009 that looters from Chevron said they had found in the Cave of Skulls. “We always wish we could find something with writing on it. 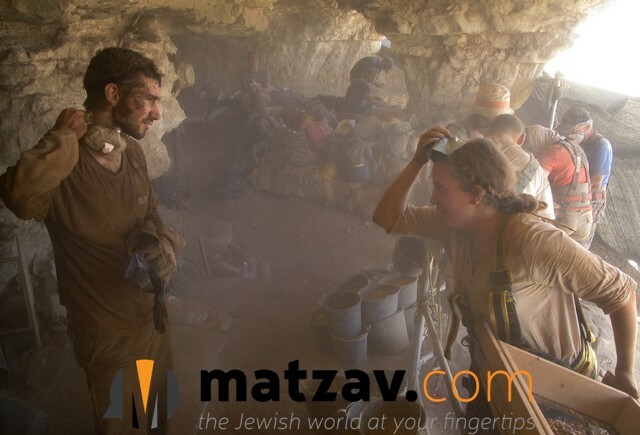 This was our big hope, but we are happy with what we have found so far,” said Micka Ullman, an archaeologist at Hebrew University, who sat covered in fine dust at the cave’s entrance one day during the dig. “We have found papyrus. It doesn’t show any writing on it. 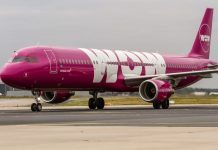 We will test in the lab – maybe under analysis, something will show itself,” said Ganor, the head of the robberies division for the Israeli antiquities authority. The Cave of Skulls was professionally excavated in 1953 and 1960. Then looters had their turn. In 2009, when the fragment of incredibly old papyrus with some Hebrew writing was offered for sale by a cagey middleman in Yerushalayim, Ganor and his team laid a trap to recover the scroll. An undercover agent posed as an American buyer, with a suitcase allegedly stuffed with $2 million in cash. He met the seller in a fancy hotel lobby. The cops swooped in. They seized a brittle page of reed paper, preserved in the desert heat. If you didn’t know what you were looking for, it would look like nothing much at all. The scroll is now being studied at the Israel Museum; it turned out to be a fragment of a letter, with place names and an intriguing clue. After the antiquities police interrogated the traffickers, Ganor and his investigators learned that looters were digging at a site that archaeologists call “Cave 32,” better known as the Cave of Skulls. After the emergence of more scroll on the black market seven years ago and the arrest of a gang of tomb raiders with shovels, picks and metal detectors at the Cave of Skulls in 2014, the antiquities authority decided it had to dig the cave or lose the material forever. 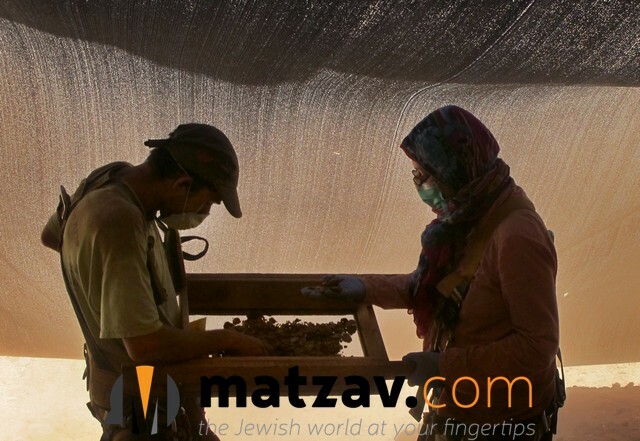 “The thieves took all the main things that they knew to be valuable, but we are looking and finding interesting things, too,” said Uri Davidovich, a research fellow from Tel Aviv University and Hebrew University who led the dig. The archaeologist said he was not disappointed with the dig. “Although there is nothing hugely special, in everything that we find we can feel the person who is behind it, the person who used it,” he said. “One special thing that we found were hairbrushes. We found four of them, not all complete, but I can feel the person who was behind it,” Davidovich said. The fragment of papyrus they found during this dig will be analyzed and compared with the one Ganor and the antiquities cops recovered in 2009. If they are the same material, archaeologists could start digging in other caves along the streambed. There are 34 more caves – each with evidence of human use. Most have hardly been touched, except by looters.